There are multiple websites that offer detailed information on the ingredients and quality of various dog food brands. Most of them are helpful, but there are a few that are actually sponsored by or done by a particular brand. These are the ones to avoid because they will skew in favor of the company doing the testing. Instead, look for the best dog foods reviews by looking for reviews done by an independent testing agency that doesn’t have any stake in the sale or promotion of any dog food brands. Also look for an organization that not only tests each product personally, but reaches out to industry experts for input, such as Reviews.com. This way you’ll get information from consumers AND experts for a more complete review. How do you know if a review website for the best dog foods is unbiased? First, look for who actually did the research and for whom. If a university or independent lab did the research, it is more likely to be unbiased. If it is funded by a particular dog food brand, however, you should look for any information that indicates that there were steps in place (such as double-blind tests) to prevent an unconscious preference for that brand. One of the most respected online review companies is Reviews.com. Established in 2013, it has since built a solid reputation for fair and accurate reviews of everything from automobile insurance to diaper rash creams. 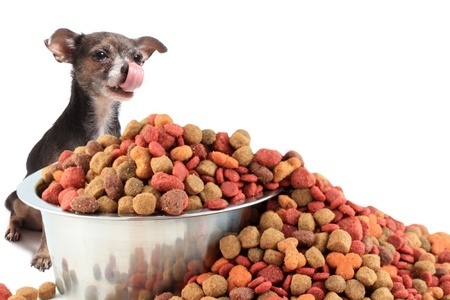 They’ve done a comprehensive analysis of 29 dog food brands and a variety of formulas that can help you choose the best dog foods for your pets. Visit their dog food review page and learn what brands they chose and why they were chosen. You’ll also learn a lot about how the best dog foods are made and what their ingredients are. Another well-researched, exhaustive guide to the best dog foods is available at HerePup.com, where you will find an impressive guide that breaks down the research into chapters that cover everything from what puppies should be eating to recommendations for specific breeds. Be sure to read the entire “Best Dog Food Reviews 2017: Top-Rated Brands and Comparisons.” You’ll be armed with everything you need to choose the best possible food for your pet for every phase of his or her life. The Contemporary Pet did not receive any compensation from Reviews.com or HerePup.com for this article. In any situation where a product or service may have been provided, we will clearly indicate this in the article or review.